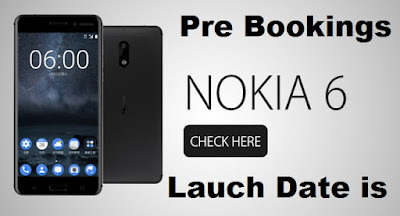 The most Awaited Nokia 6 Smartphone with a vast number of features is being available in the form of pre bookings through the Amazon e-commerce website.Nokia 6 Pre Bookings to start from today i.e July 14th and if you book this Nokia 6 Smartphone Probably you will be get delivered in the Next Month i.e August and the expected price of Nokia 6 is 14,999/- in the Indian Mobile Market actually you can go for the pre booking from today. At the present market Nokia Mobiles have a huge demand because there are coming up with the Android OS and that too the latest version of Android which is Android Nougat so we have seen the Nokia Smartphones with windows OS now it got a new craze when powered with Android one such mobile is Nokia 6 so everyone are curious to know the launch date of Nokia 6. 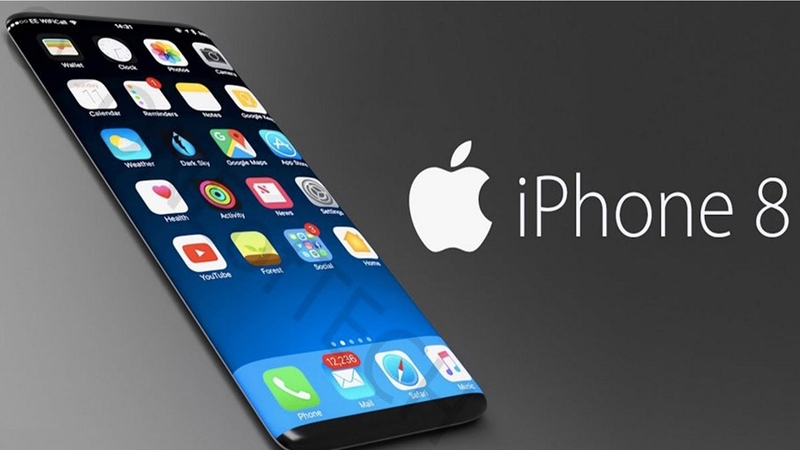 And Nokia mobiles are also offered for pre-bookings. 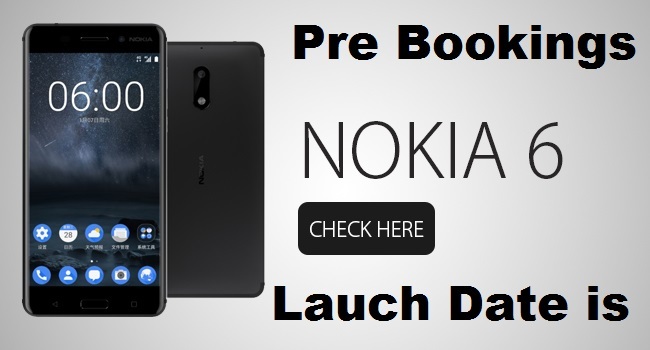 And from today Amazon are accepting pre orders but when would be Nokia 6 launch date in India? expected launch of Nokia 6 in India is on August 23.